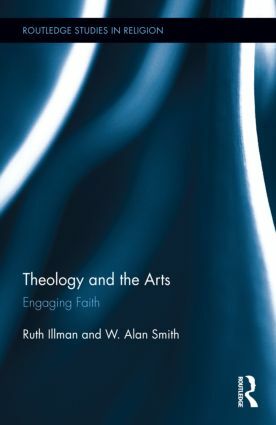 In Theology and the Arts, Ruth Illman and W. Alan Smith have offered up a profoundly useful text which “brings the emerging fields of practical theology and theology of the arts into dialogue beyond the bias of modern systematic and constructive theology” (frontpage). Though neither Illman nor Smith identify themselves disciplinarily as practical theologians, they nevertheless find the work of practical theology to be profoundly helpful to contemporary discussions of faith and religion. Thus, while the text engages with a vast array of literature from practical theology, the engagement is that of outsiders looking in. From this vantage the authors are overwhelmingly excited about what practical theology has to offer and it makes for a lively text. [W]e are not content to simply criticize the deficiencies in a theological tradition that was centered in the hegemony of white, Anglo-Saxon, Protestant, Western, male views of the world. We have offered as an alternative to this dominant theological approach of the 19th and 20th centuries the emerging discipline of practical theology (163). We also find the emerging literature of practical theology itself a valuable voice with which we engage in dialogue. The members of the Association for Practical Theology have provided us with direction for the development of our understanding of practical theology… As we read the contributions of practical theologians like Miller-McLemore, Chopp, Mercer, and others, the striking similarity of the thought of theologians of the arts like Robin Jensen, Deborah Haynes, Frank Burch Brown, and Richard Viladesau has become not just apparent, but glaring (164). That the interests of Illman and Smith converge on theology, art, and practical theology makes for a fertile exploration of the topics at hand, which they do with four goals in view. First, they discuss contemporary theological research on the arts, focusing on the role of gender, pluralism, and postmodern/post-secular perspectives. Second, they address the emerging literature in practical theology and evaluate the current direction of theological discourse that takes seriously the role of praxis and faith that is embodied in the critical practices of “communities of truth” from multiple religions and cultures. Third, they develop a practical approach to theology and the arts by incorporating perspectives from dialogue philosophy and hermeneutics. Fourth, they ground these theoretical reflections in empirical case studies where the arts have become integral in practicing a responsible, interpersonal, and empowering theology (6-7). 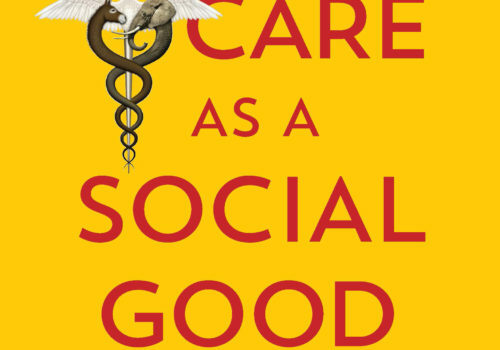 Methodologically, these goals are accomplished by splitting the book into two parts. Part I, “A Practical Theology of the Arts,” contains three chapters which serve as the undergirding theoretical basis upon which Part II rests. Part II, “Études,” consists of seven international case-studies of arts-based communal reflection from a variety of religious traditions. It also includes the book’s concluding chapter. Throughout both sections, the authors want to be clear that the “practical theology of the arts” that they are offering has seven distinct thematic elements which are necessarily constitutive of their project at large. 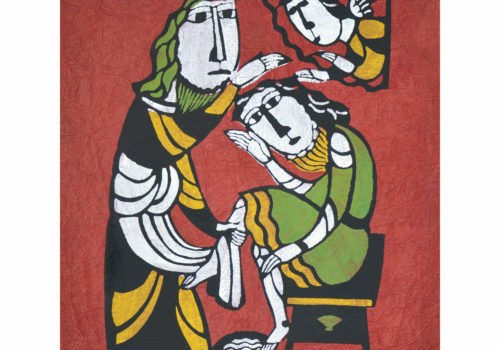 Their “practical theology of the arts” is embodied, “has a face,” acknowledges the “voice” of those who had been silenced, is accomplished through “dialogue,” is based in practice, clears a space for communities to engage themselves, and is committed to “true transformation” (61-64). In the first chapter, “When the Center No Longer Holds,” the authors address the theological challenges with the postmodern condition, its scrutiny of “truth,” and the role of religion in contemporary Western life. 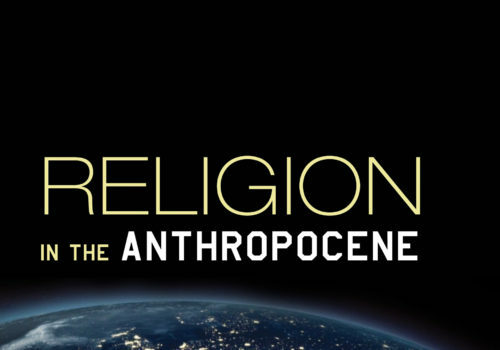 They do this – including brief theoretical sketches of the work of Habermas, Lyotard, Buber, and Liberation Theology – in fifteen pages, packing their paragraphs with citations and reference points. In chapter two, “Otherness and Meaning,” Illman and Smith engage with “dialogue philosophy” and how the work of Buber, Gadamer, Levinas, and Knud Løgstrup can aptly address some of the issues present at the intersection of post-modernity and religious thought while maintaining an epistemic position that is neither non-relativist nor non-absolutist. Much is made of the Gadamerian notion of the fusion of horizons and the ways in which “reading texts” can be a transformative process. Indeed, because encounters with “texts” – understood here to include people and experiences – can open us as “readers” out into the world, the argument is made that creative practices of art making are inherently ethical activities. That is, insofar as art turns us to face the (Levinasian) Other, aesthetics necessarily entails ethics. The third chapter, “Outlining a Practical Approach to Theology and the Arts,” begins with a brief historical summary of the field of practical theology, focusing on the work of Farley, Browning, Miller-McLemore, and Schweitzer. In this section the authors align themselves with a disciplinary rendition of the field as offered by Paul Ballard and John Pritchard (49). This alignment then propels them to suggest that “a practical theology… does not consist in propositional claims or positivistic statements of doctrine as much as it does in critical reflection on living as persons of faith whose practice requires that existing theory be retooled, and whose retooled theory raises implications for new practices in order to be faithful” (51). That this understanding of practical theology is their touchstone is very clear as each of Part II’s case-study chapters unfolds precisely in this manner. Each chapter in Part II serves as a concrete example of a “practical theology of the arts” in action. For example, in the sixth chapter, “Fabric Arts in Peru as Identity,” there is an exploration of the production of cuadros in Peruvian women’s collectives, beginning with a narrative and contextual description of the arts practice taking place. After this, the authors claim that these arts function “to make the women who produce them aware of their own voice that had been silenced… while helping them establish a sense of personal belonging” (81), a comment which is immediately followed by rapid explanations as to how the Mother’s Clubs which create the cuadros reflect a form of Freirean critical consciousness (89), Levinasian ethical relationality (89), Gadamerian dialogue (90), Lyotard’s postmodern condition (90), and “the wisdom of the arts as a practice of transformation that we claim is characteristic of a practical theology of the arts” (90). The text is densely packed with citations. In short, Illman and Ruth enact their working definition of practical theology in each case-study chapter.They 1) examine the particulars of the context, 2) elucidate how it is that the arts-based practices under investigation “require theory to be retooled,” 3) point to the feminist, dialogical, post-modernist, and/or liberationist theories which might support those practices, and 4) affirm the practice in question as a form of a practical theology of the arts. While useful as a reference text for theology and the arts, Illman and Smith’s methodological choice to name the locus theologica as the communities’ arts-based practices also raises an interesting issue for practical theologians beyond arts and theology conversations. To affirm that the practices themselves are the practical theologies is to suggest that the content of the book in question, Theology and the Arts: Engaging Faith, is not itself a practical theology, but a theoretical reflection on practical theology. Following this logic, to the extent that the field of practical theology is engaged in the investigation of practices, Illman and Smith’s method suggests that the formal academic discipline of practical theology is that which discovers, legitimates, critically reflects upon, and offers opportunity to change to communities in which practical theology actually happens. That is, books and dissertations under the heading of “Practical Theology” are not actually practical theologies themselves, but engagements with practical theologies, which are definitionally embodied and localized. This is certain to be too narrow an understanding of the field of practical theology for some, but others may find it refreshingly clear cut and useful for the ways in which it takes the onus of enacting practical theology off of the practical theologian, shifting agency primarily to the hands of communities, which the theologian helps to recognize, legitimate, catalyze, and/or critique. However one feels about the authorial decisions of nomenclature, this text will be an undeniably useful resource for anyone working at the juncture of theological reflection, observation-based research, and the arts. 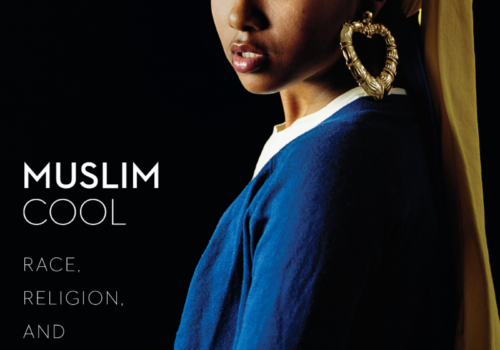 L. Callid Keefe-Perry is a Ph.D. student at Boston University School of Theology.